I don’t know about you, but one of our challenges around here is getting our son off to school in the morning with a healthy, non processed breakfast without having to wake up an hour ahead of time to do so. 6:30 is plenty early as far as I’m concerned, and should be enough time to get us all out the door with a healthy breakfast, but the reality is I often fall short of that unless I’ve prepped ahead of time. 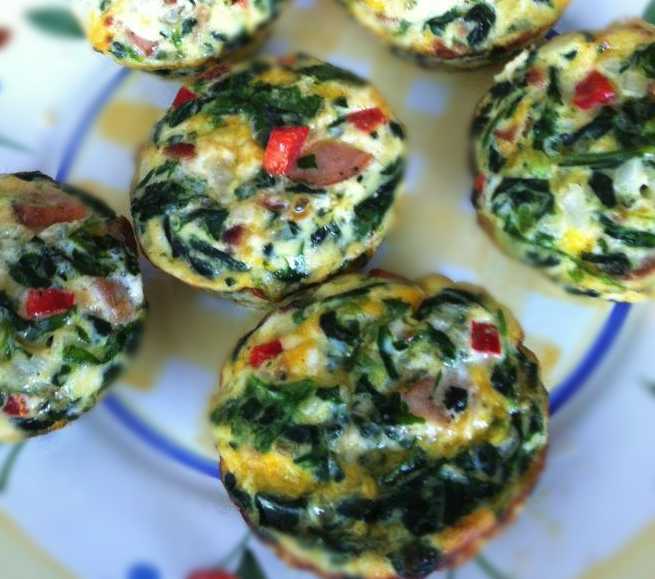 Enter these fabulous little egg muffins we recently discovered! They can be made ahead of time, and stored for 3-4 days, are super easy to reheat and pack a powerful protein punch. 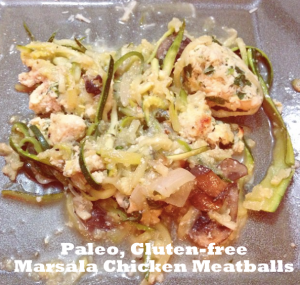 Satisfying a Paleo, gluten free, dairy free diet, they’re delicious, healthy and convenient. Perfectly inspired foods for a great start to the day – enjoy! 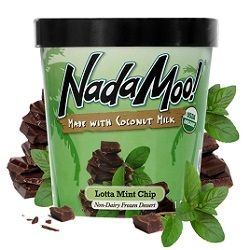 A local favorite of ours is Nada Moo!, a gluten-free, vegan ice cream option made of coconut milk. They focus on all natural ingredients and since they’re sweetened with agave nectar, NadaMoo! has roughly half the fat and calories of ice cream and other dairy-free alternatives. If you’re lucky enough to live in the area, you can grab a pint at any of the local markets listed here. And are they for real with their newest flavors, Vanilla Cha-Cha-Chai and Bananas for PB & Chocolate. Yes please! Austin, TX (March 24, 2014) – As the weather heats up, NadaMoo! is cooling down by adding two new flavors to their ever-expanding product line. With the addition of Vanilla Cha-Cha-Chai and Bananas for PB & Chocolate to their gluten and dairy-free coconut milk ice cream family, NadaMoo! now has ten flavors on the shelves at Whole Foods Markets across the southwest. Erin Echternach, pastry chef and flavor developer for NadaMoo!, has been working with Nicholson over the past year to create these two distinctive new flavors that remain gluten- and dairy-free, vegan and kosher. Reminiscent of the favorite coffee shop indulgence, Vanilla Cha-Cha-Chai introduces a slightly spicy chai flavor that is balanced with the creamy vanilla coconut milk base. The Fair Trade Certified Bananas for PB & Chocolate is a perfect blend of their signature rich chocolate sprinkled with banana and peanut bites. NadaMoo!’s other signature flavors include Java Crunch, Lotta Mint Chip, Creamy Coconut, Gotta Do Chocolate, mmm…Maple Pecan, Vanilla…ahh, Sweet Cherry Lime and Chocolate Almond Chip. NadaMoo! is a dairy-free, zero cholesterol, gluten-free, lower calorie and lower carb coconut milk ice cream. 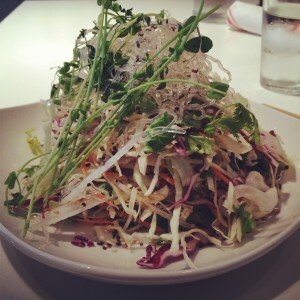 Established in Austin, Texas in 2004, NadaMoo! was founded with a mission to make the world happier and healthier, one scoop at a time. Since NadaMoo! is made with the cream of the coconut, each pint retains the same saturated-fat mouth-feel of ice cream while remaining dairy- and gluten-free. 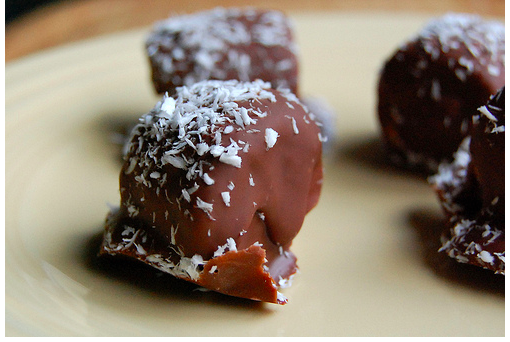 Sweetened with agave nectar, NadaMoo! has roughly half the fat and calories of not only ice cream, but also similar dairy-free alternatives. The company makes its products in Texas and is dedicated to using organic, kosher, Fair Trade Certified and gluten-free ingredients whenever possible in support of a fair, sustainable and contaminant-free food chain. Since taking the reins in 2011, CEO Daniel Nicholson has led the family-owned company’s expansion into new territories and points of distribution across the nation without forgetting his Texas roots. NadaMoo! is available in natural, conventional, specialty and co-op grocery stores nationwide. Providing the proper accommodations for your child when they are at school can be quite frustrating. What you find to be completely reasonable, others (who do not have to go through the food allergy life) think is completely unreasonable. School staff tend to think a parent is overreacting most of the time; thinking we just want to put our child in a tiny little bubble and treat him like he is a porcelain doll. In reality, we are just trying to lower their chances of having a life changing allergic reaction. Teachers will not use the allergen in classroom projects, behavior rewards or lesson plans. *Student is permitted to carry epi pen. An additional epi pen will be kept in the main office. **Student can sit with everyone else at lunch time, with cafeteria staff being informed of the allergy to avoid it going near student. Notices will be sent home to classmates encouraging non-food celebrations (birthdays, holidays etc.) OR to inform them there is an allergic student and remind them of the foods that are NOT safe to bring in. * If the student is allowed to self carry in the school district and if the parents feel comfortable with it. ** Ultimately up to the parents on the cafeteria conditions. notices sent home to the entire school notifying them of the allergy. You are the parent so you decide what is needed so your child can have a great educational experience and, most importantly, a safe experience at school. If you have any questions about reasonable accommodations for your child, set up a meeting with the school’s principal and/or social worker. They can help you decide on what is absolutely needed. Remember to never let the school talk you out of an accommodation that you know your child needs. Have a question regarding Peanut, Tree Nut or Other food allergies in school? Want to suggest a topic for me to discuss? 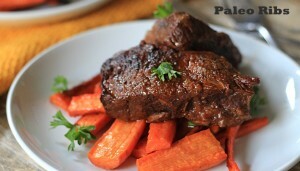 Follow Me on Facebook @ www.facebook.com/ptomom or Contact me @ pto_mom@aol.com and follow my Inspiredeats column here. Get “Schooled” on Food Allergies With PTO Mom! « Our allergy-free monthly sample program launches! 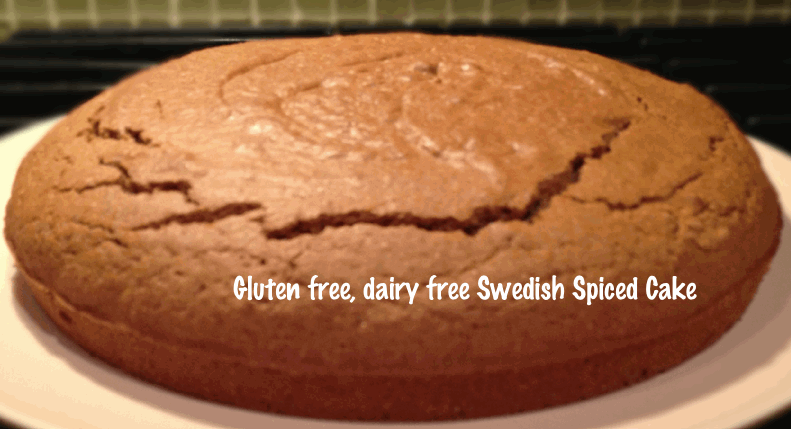 Our allergy-free monthly sample program launches! 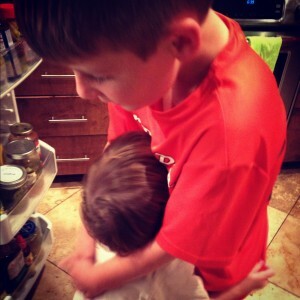 Since you found your way to our blog, you’re most likely dealing with food allergies, or know someone who is. We know first hand what it means to live with food allergies and how important it is to have healthy food options while on the go. So after a year of building Inspiredeats to help provide an online resource for all things food-allergy related, I’ve finally been able to get my dream business launched. 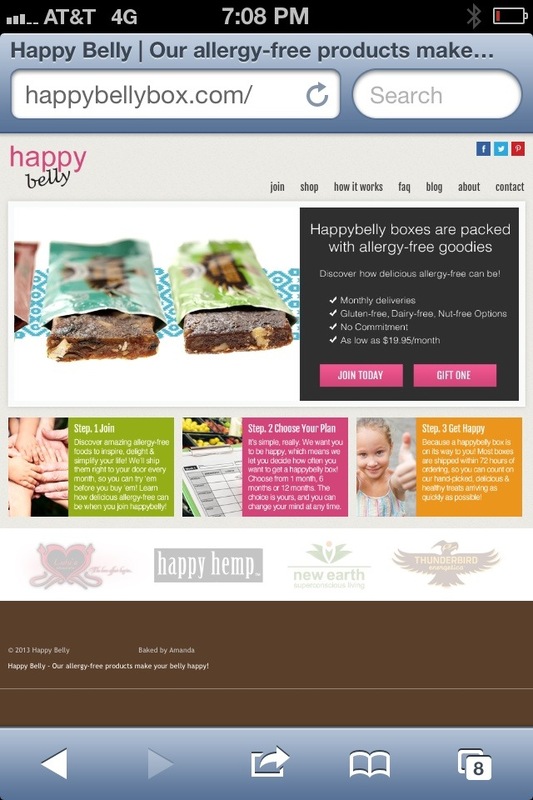 I’m so excited to finally announce the launch of our monthly delivery service and online shop for allergy-free foods, happybelly! To kick off the launch we’re giving away $250 in allergy-free goodies to one lucky winner. 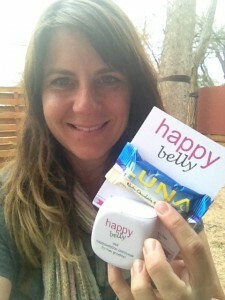 Check out the site here to learn more about happybelly works and click here to register for your chance to win our goodie bag. Good luck!! Last night we had some friends over for dinner, and with 3 kids and a few special diets to accomodate, I wanted a meal that was quick and easy, and could keep a vegan and some gluten and dairy free peeps happy. 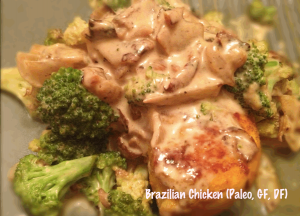 Since I was starting with a base of gluten and dairy-free, this Brazilian Chicken is a great choice as it’s a Paleo meal that uses some simple spices to add an exotic flair, and gets it gravy-like consistency from rich coconut milk. The process is simple, and as my friend said, it “tastes a lot more complicated than it really is”. Gotta love an impressive dish that doesn’t kill you in the kitchen! While this is adapted from All Recipes we’ve made some adjustments along the way to make it our own and accomodate a nightshade free diet (the original recipe calls for tomatoes and jalapeño peppers). I’m sure you can do the same by adding in some of what we’ve omitted including cayenne pepper, jalapeños and parsley. 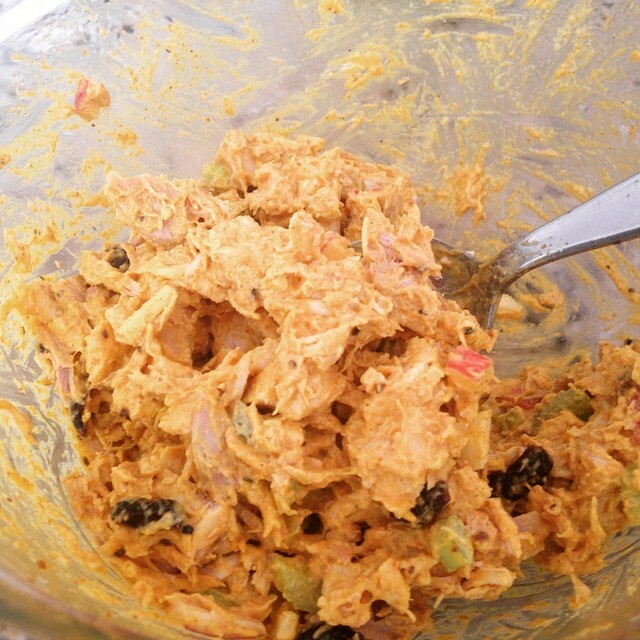 Turns out this recipe kept most of the guests happy, with the older boys devouring the chicken, though the littlest guest wasn’t having any of it. While we tried our best, he wasn’t digging the chicken, spinach or roasted carrots but he was happy to chill with his big brother while he ate the goods. 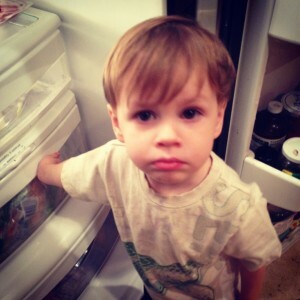 Here he is desperately searching for something yummy in the fridge after deciding he wasn’t loving my dinner. Glad I could keep one of the guests’ bellies full of some good food!